While it’s common knowledge that those NCAA Division I teams outside the 16 nationally-ranked teams in the bracket rarely make it to the final weekend, this year, the pattern went a step further. If you weren’t a No. 1 seed, you were out of luck. This weekend’s College Cup field contains two undefeated teams — Georgetown and Stanford — along with two ACC programs — Florida State and North Carolina — that met in the conference final a month ago. Before the action starts this Friday, here’s a quick look at each of the contenders and some of the storylines that will likely pop up during the weekend. The defending champions arrive in Cary, North Carolina, striving to become only the second program in college soccer history to repeat as national champions. To achieve this feat, it is conceivable that the Cardinal would have to beat the only program to have accomplished this feat: North Carolina, which has done so on multiple occasions. Hoisting another trophy would also put Stanford in rare company as one of only three teams with three or more national championship trophies, the other two being North Carolina and Notre Dame. While there is a lot of history on the line for Stanford, what the program has already accomplished this season is rather impressive. Forty-five games have come and gone since the Cardinal suffered its last loss, against Florida in August 2017. While North Carolina owns a previous streak that is double in size, the Cardinal’s streak comes at a time when more programs than ever are capable of playing spoiler. And while this streak is remarkable in and of itself, the circumstances under which it continued this year may be even more noteworthy. 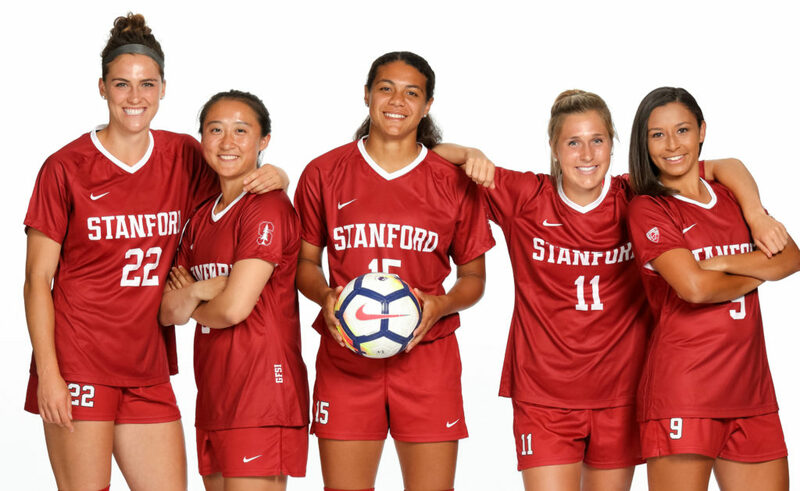 Stanford lost three of not only its best, but the nation’s best players, with Tierna Davidson, Tegan McGrady and Sophia Smith all unavailable due to injury. (McGrady returned to action last weekend against Tennessee, while Davidson may be available this weekend.) While these injuries would sink most teams’ chances of making the final weekend, the Cardinal have persevered thanks to the team’s deep reservoir of talent. A player who has really hit her stride in the postseason is Civana Kuhlmann, who scored three of her seven goals on the season in the tournament. 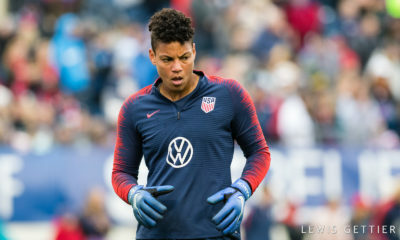 Key to the Cardinal’s chances in Cary will obviously be Catarina Macario, the Brazilian native whose crafty and deceptive play has U.S. fans counting down until she’s eligible to play for full U.S. women’s national team. She leads the squad in both goals and assists, with 14 and 10 respectively. The College Cup in Cary is all at once new yet familiar territory for the Tar Heels. North Carolina last made the final weekend in 2016 as plucky underdogs that weren’t expected to make it. That was the one and only time such a description could be used to describe a Tar Heels College Cup team. Describe that team however you like: North Carolina came up short in San Jose and now, five College Cups have come and gone without the Tar Heels ruling supreme. As a testament to the storied program’s dominance, that is the longest such streak in program history. For the first time in school history, the team enters a College Cup without at least one player who has played on a national championship team. And yet Cary is familiar ground, as the Tar Heels have played their home slate on Koka Booth stadium, right next to the main stadium at WakeMed Soccer Park, as they wait for the new Fetzer Field to be completed. The players have shown up every game and looked to the adjacent field to see the final goal: the main stadium. North Carolina enters as the hometown team seeking to reclaim its place as the nation’s best. No player in Carolina blue has scored double-digit goals this season. The Tar Heels are the only team still playing that doesn’t have such a player. Instead, North Carolina features a multitude of players who have tallied a respectable number of times on the season, including Brianna Pinto, who leads the team with six goals. While there are definite pros to having a go-to-scorer, not having one helps keep opposing teams honest. 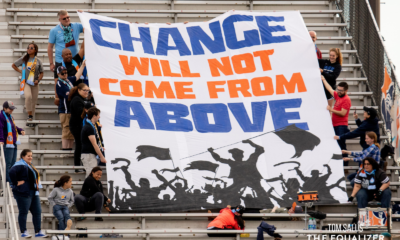 It also means there will be no reprieve when head coach Anson Dorrance goes to his bench — and it’s no secret that he’ll do so early and often. Julia Ashley, a senior wing back and prospective top-five pick if she chooses to enter the National Women’s Soccer League College Draft this January, has featured prominently in the Tar Heels’ attack since the tournament started. She has registered five assists and a goal in the last four games. The Seminoles have played on the final weekend in 10 of the last 15 seasons. In the first nine College Cup appearances, Florida State came away with the title just once. Could they join the elite class of programs whose trophy cases hold more than one national title? Head coach Mark Krikorian has followed his now familiar recipe in building a College Cup caliber roster: assemble a collection of stellar international talent along with some solid domestic prospects. After a three-year absence from the final weekend, the Seminoles return once more showing that Krikorian’s formula still works. 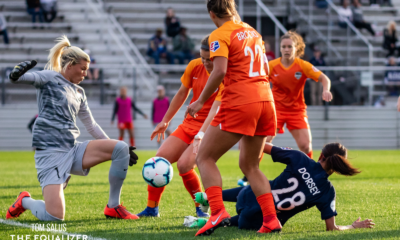 Long known for their defensive prowess, the 2018 Seminoles defense also fits this mold, allowing just 13 goals in 25 contests this season despite first-choice goalkeeper Brooke Bollinger going down for the season in the ACC Championship game. (It should be noted that backup Caroline Jeffers has been solid in relief, stopping Leah Pruitt’s penalty kick to lift Florida State over USC in the third-round game). If the Seminoles are the last team remaining Sunday, the defense will be a major reason why. However, the Seminoles’ attacking talent grabs more headlines than Florida State teams of recent memory. Deyna Castellanos, a dynamic forward with a penchant for scoring highlight-worthy goals, is at the forefront when discussing Florida State presently. It’s a small wonder considering the junior garners over a million followers on Instagram. If the Seminoles are to lift the trophy on Sunday, she’ll need to play a central role. The Venezuelan native leads the squad in both goals and assists. Freshman Yujie Zhao is another important piece of the puzzle for Florida State’s title hopes. The recently crowned ACC Freshman of the Year is second on the team in total points. Zhao is seemingly the perfect complement to Castellanos. Also, be on the lookout for Dallas Dorosy, the senior midfielder dubbed, “Ms. November” by Krikorian. Dorosy has scored four of her six goals since the month began. After his team’s 3-0 win over Baylor on Saturday, head coach Dave Nolan called the other teams participating in the College Cup “soccer royalty.” Although royalty isn’t a word thrown around too loosely on this side of the pond, this might be an apt description. While the Hoyas have been in the spotlight of late, making their second College Cup appearance in the last three seasons, the other semifinalists have at least one national title to their names. Only 11 programs in the country can say that over the course of 35 years of NCAA women’s soccer. The fact that this isn’t the Hoyas first sojourn to the final weekend could be key in its hopes to becoming the 12th program to win the College Cup. Winning it all in a team’s first trip is a difficult and rarely accomplished task. Georgetown returns to the national stage with a contingent of players who have that experience under their belts, including goalkeeper Arielle Schechtman, who leads the nation in shutouts this season. In front of Schechtman is a back line that’s proven difficult to get around this season, including right back Meaghan Nally, a high-energy player who also excels in the attack and who will play a prominent role in Georgetown’s chances against the physical and athletic Tar Heels in Friday’s semifinal. 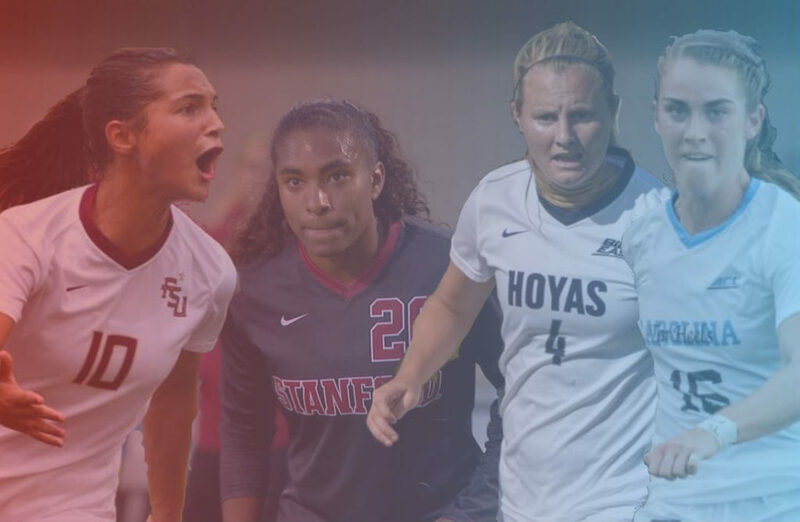 On the other side of the ball, the Georgetown features a varied yet fluid three-prong attack in Paula Germino-Watnick, Caitlin Farrell, and Stanford transfer Kyra Carusa. Carusa’s penchant for finding the open player, Germino-Watnick’s ability on the ball and Farrell’s size and pace all create considerable challenges even for elite defenses. The trio has combined for 36 tallies on the campaign. Farrell has accounted for 18 of these, more than any other player remaining in the tournament. Carusa, who is second on the team in goals and assists with 10 and 12, respectively, has the chance to accomplish a rare feat. If the Hoyas lift the title on Sunday, she’ll become just the second player to have won two championships in back-to-back years for different programs. Nickolette Driesse, who won a national title with Florida State in 2014 and Penn State in 2015, is the only player to have done so.